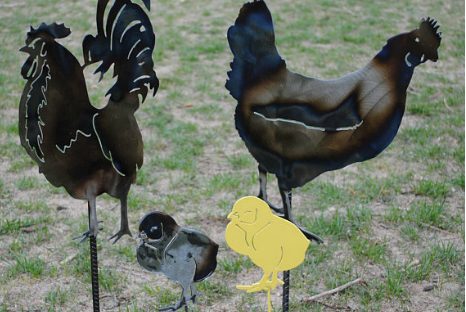 We, homesteaders, love our chickens, don’t we? I know it, my family knows it, heck…even total strangers know it! 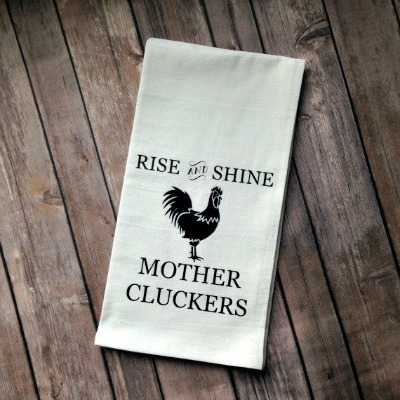 I had so much fun scouring the internet for the best gifts for the chicken lovers out there. Hey, we can’t help it. We love our chickens and we will not be judged for it! 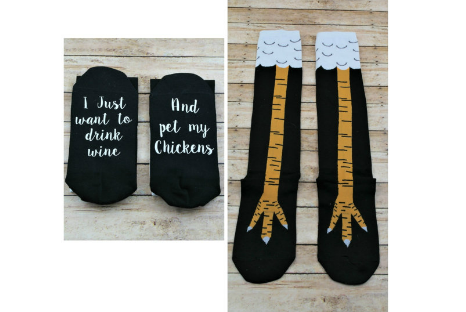 Nothing says I love you more than chicken socks! Oh my gosh I loves these babies! They are fun and practical all at the same time. These are knee high socks with chicken legs on the top and writing on the bottom. Fun times whether you are coming or going! You can find these awesome sauce socks over at Thimble Works along with some other great chicken treasures. 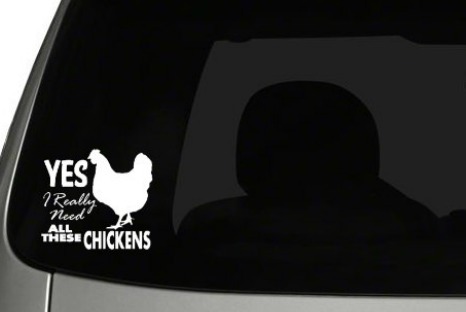 Oh my goodness, if you do not fall in love with these chicken decals then you simply do not love chickens! 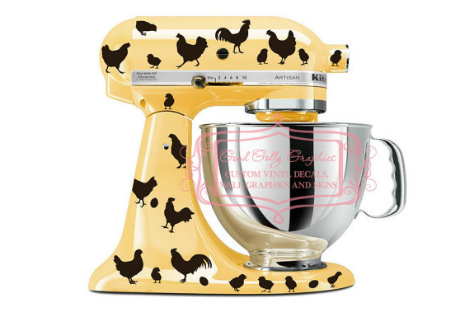 What a fun way to liven up your mixer. If you do not like black, there are other colors to choose from. You simply must stop over and check out all the fun vinyl decals they have to offer over at GoodGollyGraphics. Sometimes a picture is worth a thousand words and this one is simply priceless. Don’t just love the chicken owner but the chicken too! 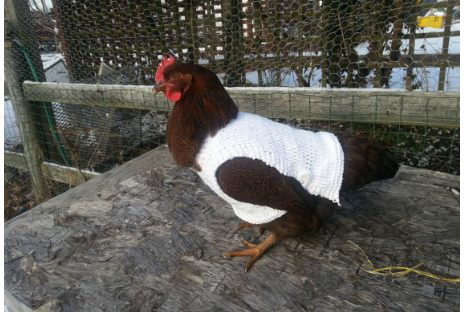 Keep the ladies warm and in style this season. 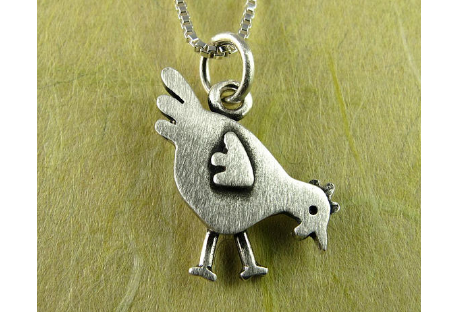 All the fashionable chicks are wearing them! Stop on over at TheSparklyhead and see all the treasures there. How much fun is this crazy awesome t-shirt? And there are even more to choose from at SuzySwedeTees. 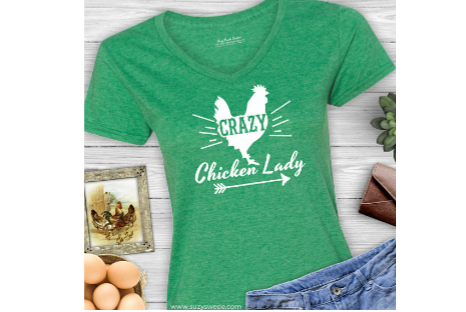 Even if you do not have a crazy chicken lady in your family I am sure you can find one that will be a perfect gift. Long sleeve, short sleeve, even tank tops and in every color too. 🙂 Go check them out! I love, love, love this sign! 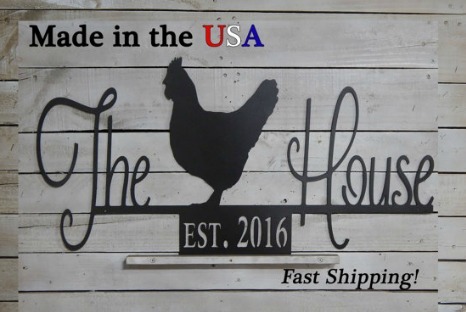 The hen house is perfect for your home or even your coop. Who says you can’t dress up the hen house? This is a perfect way. Another high-quality handmade item that you can see over at EvyAnnDesigns. This little stamp is on my gift list this year for sure. 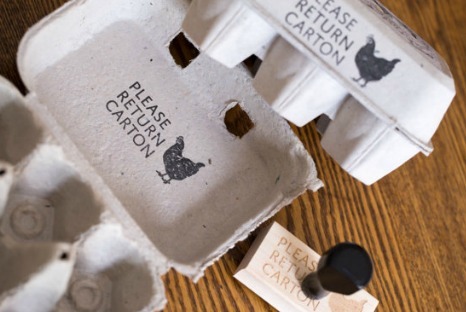 I would love to stamp one of the eggs in each carton for my customers. What a fun and delightful surprise they will receive! 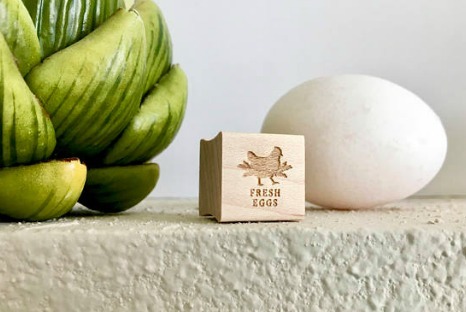 This stamp is handmade and the perfect size for farm fresh eggs! 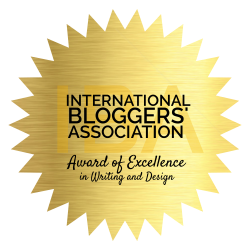 You can check this treasure out over at FallForDesign. 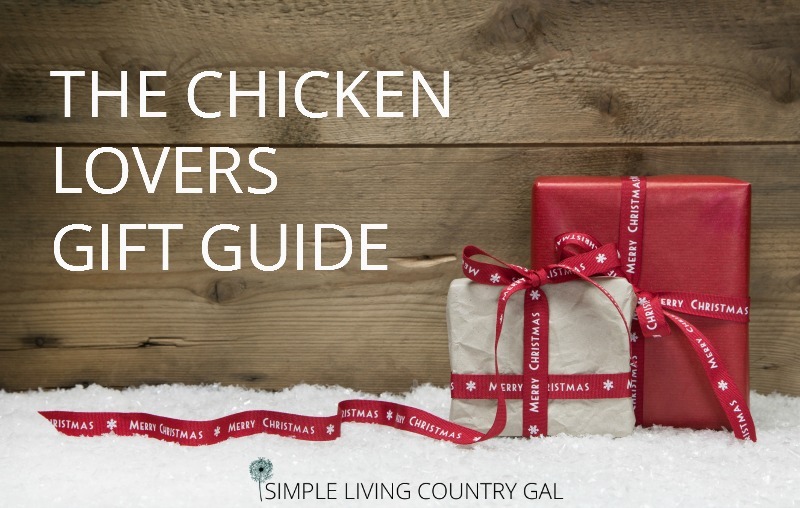 And that is my 2017 Chicken Lover Gift Guide. Please show your support for the creative designers over at Etsy. They work hard and I love them for that. What better way to show your love for someone than by giving a gift that is handmade with care. My this year shower you with chicken treasures!